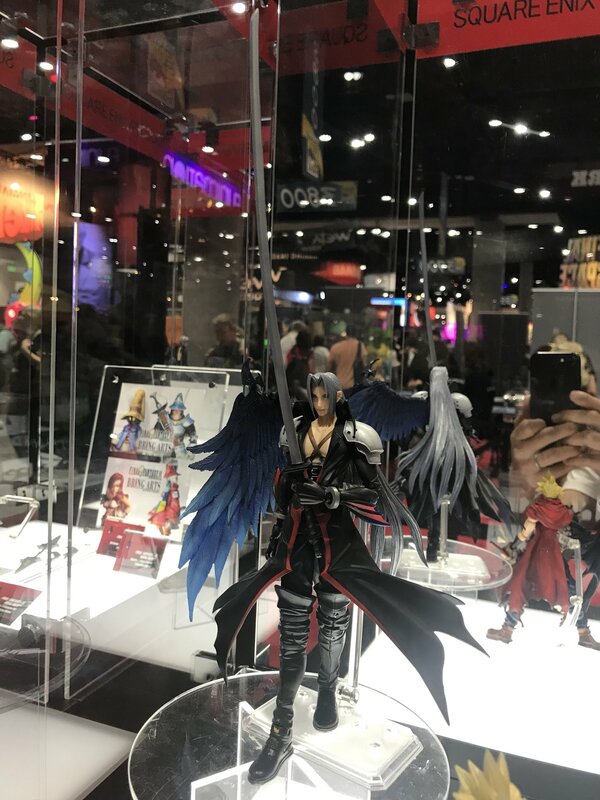 Today at San Diego Comic Con, Square Enix announced even more additions to their line of figures by showing off both Cloud and Sephiroth Bring Arts figures in their Kingdom Hearts designs. 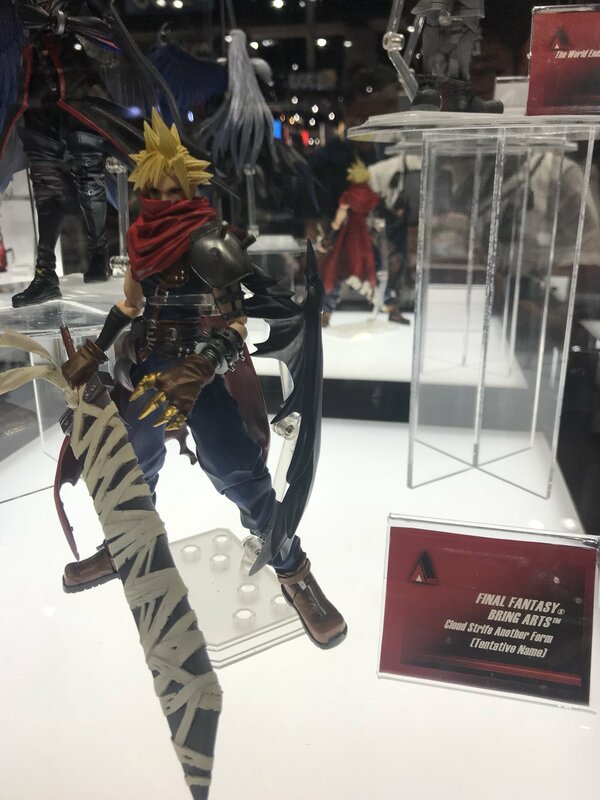 Since these figures are technically part of the Final Fantasy line, they're being marketed as being in "Another Form", but there's no denying their designs are from the first Kingdom Hearts game. We'll update you as we learn more. Ah, the world's oldest question; length or girth? I wish they would focus more on KH3. Not that I don't like the figures but I'd rather see Terra, Aqua, Ventus, Mickey or someone from the Organisation getting made into figures. Also I wish they made bring arts of Soras Monster Form instead of the 68th Halloween Town Sora. Yeah, why are they so afraid of saying "Kingdom Hearts form"? I think by attaching the designs to a Disney-owned property, it would mean claiming the designs as being solely owned by Disney, thus limiting their ability to use those designs in other games (i.e. Dissidia, the mobile FF games). By claiming them as FF designs, they get full control of using them. That is really the only reason I could imagine why they would constantly refer to them as Final Fantasy despite the designs having their origin being Kingdom Hearts. I am getting them for sure. I bet Aqua and Roxas are next. I hope after that we get some Xion and Terra level figures. Is it just me or do they look way bigger than typical Bring Arts scale?